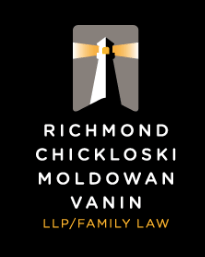 Alison J. Chickloski offers Free half hour consultation with a family law lawyer at RCMV LLP. Alison received her BA in political science with distinction from the U of A in 2000, and her LLB from the University of Saskatchewan in 2003. 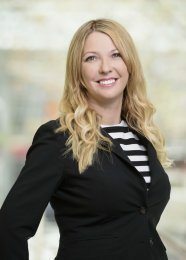 She is a member of the Canadian Bar Association (Family Law Subsection), Calgary Bar Association, and a Registered Collaborative Family Lawyers. She acts in both contested and uncontested family law matters and has extensive experience in drafting separation, cohabitation and prenuptial agreements. She has also successfully appeared before the Provincial Court of Alberta, the Court of Queen’s Bench, and Court of Appeal for custody, access, and matrimonial property actions. Alison is fully trained as a mediator, arbitrator and is a registered Collaborative lawyer. She hopes to see people move further from the court system and filing applications to get resolutions; and more toward working amicably and negotiating terms. Divorce and custody disputes can be a very upsetting and difficult time in a person’s life. It is my job to help you find confidence to come to a resolution and to provide you accountable representation to bring you peace of mind. Alison has ten years of experience specializing in family law and has appeared in provincial, Court of Queen's Bench and the Court of Appeal in Alberta. She also has an extensive practice in the areas of mediation, collaborative law and arbitration and believes that one does not always need to enter a court room to find a solution to his or her issues. She believes in responsive and efficient legal services and will return all emails and calls within 24 hours. Alison has practiced extensively in the area of family law and understands that not all matters need to see the inside of a court room. Divorce is an emotional and stressful time in a person’s life and having an understanding and knowledgeable lawyer is the key to finding success. Not all files are the same and not all clients are the same. The difference between Alison’s treatment of a file may be the same as other lawyers’ in the interpretation of the factsand the law, but she is different because she has experience in all the different ways a file can be managed. People may look to the internet and to referrals for a lawyer who is a ‘pitbull’ or a killer in the courtroom: while that sometimes may be the approach that is needed, sometimes an even handed and rational approach is needed instead. This is not something, however, where your lawyer tells you what you want to hear, but what you need to hear instead. Alison really cares about her clients and wants to complete their files quickly and cost efficiently. She understands that Family law matters are extremely hard on the people who face them. Nothing is more satisfying that having a person have finality and resolution on something which has caused them difficulty.